As usual it is hard to choose our top 10 new favourite picture books from the thousands published this year. Here is a selection of some of our current favourites for 2018. We hope that you and your child will find appealing characters and stories in these beautifully illustrated picture books be amused, intrigued and challenged. We hope you enjoy them. George is a young rabbit who watches his friends enjoying painting, skating, reading and dancing but doesn’t want to join in: he just doesn’t think he can. Wise Bear is watching and decides to do something about this. He makes George a ‘magic’ hat out of folded paper. George feels confident to have a go with his magic hat on and with a bit of practice finds he can try all the things his friends are doing and have fun too. When the hat disappears George is worried but Bear tells him that really the magic is inside him, not the hat at all. 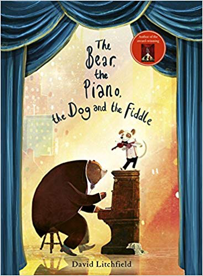 In this beautiful follow up to the award winning The Bear and the Piano we meet two new characters, Hector and his dog Hugo. Hector is a fiddle player nearing the end of his career. Facing competition from the now famous piano playing bear he decides to hang up his bow. While Hector rests his devoted pet Hugo practises, becoming a fiddle player himself. When Bear hears Hugo play he invites him to join his animal band. Hector is upset but Hugo decides to follow his dreams. The two friends are eventually reconciled when Bear’s Big Band comes back to town. A warm and enjoyable story about jealousy and friendship. The illustrations are magical with lots to spot such as the posters indicating Bear’s success in the earlier spreads. 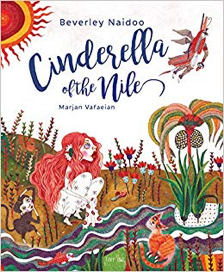 In this interesting retelling of one of the earliest versions of Cinderella a young girl from Ancient Greece, Rhodopis, is kidnapped and taken as a slave to Egypt. She makes friends with the famous storyteller Aesop and his stories help her remain strong when she is sold on to another owner where she is treated kindly by her master but not by three jealous sisters who are mean to her. Echoes of the European version of Cinderella continue with invitations to a feast from the Pharaoh, a missing slipper, a search for its owner and a poor girl becoming Queen. Children will enjoy looking closely at the intricate and detailed illustrations which complement the setting and characters beautifully and making comparisons with the more familiar European version of the tale. Noi is off to stay with Grandma in her isolated home on a rock. He is not sure about Grandma, she is too busy to play and cooks seaweed soup for supper. Noi decides to have fun exploring on his own, but when a storm threatens danger it is Grandma who rescues him and a number of windswept birds besides. Caring for the birds Noi and his Grandma grow closer and have lots of fun together throughout the summer. 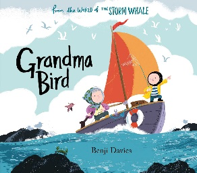 Featuring Noi and his seaside world first introduced in the wonderful picturebook The Storm Whale this is another appealing and warmly written story. The illustrations are wonderfully detailed with lots to spot, including Noi’s six cats in the first spread. There is plenty to talk about too, such as how Noi feels about staying with Grandma at the beginning and end of the story, where he will go when he creeps away and how will he get home when the storm comes. 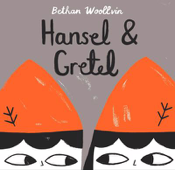 This is an amusing and brilliantly subversive version of Hansel and Gretel in which the abandoned children are shown to be lazy, greedy and very naughty. Willow a (generally!) good and very hospitable witch invites them into her home, eventually the children go too far and Willow’s temper snaps. She turns her ungrateful guests into gingerbread biscuits. With bold illustrations and lots of humour this is an attractive book which children will enjoy reading, sharing and talking about. What do children think of Hansel and Gretel’s behaviour? What would you do if you were the witch? Third in a series of anarchic versions of fairy tales from this picture book creator. Unlike most lions Leonard does not like scaring or chomping smaller creatures he likes sitting on his thinking hill and creating poems. The other lions tell Leonard there is only one way to be a lion – he has to be fierce. Leonard wonders if he should conform but is reassured by his friend Marianne. Together they find their own way to confront their critics. This is a beautifully illustrated picturebook with warm colours evoking Africa. It has a very appealing main character and a strong message about the possibility of different ways of being, acceptance of individuality and challenges an overly aggressive view of what it means to be a boy or man. 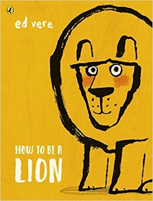 The questions raised within the text in particular about the central idea whether there is only one way to be a lion are likely to prompt some interesting discussions. 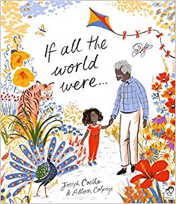 If all the world were..
A little girl remembers the special times shared with her grandad. Long walks in the spring time, telling stories in the winter. Each memory is followed with the refrain ‘if all the world were ……’ wishes to capture treasured moments. But grandad’s chair is empty, they will not be sharing another year together as he has died. Helping to sort out his belongings, she finds a notebook made by her grandad and decides to fill it with her memories of the special times they spent together. 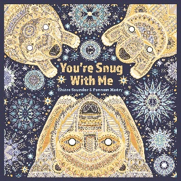 A sensitively written poetic story complemented perfectly by the delicate yet colourful illustrations which create ‘a kaleidoscope of memories.’ This is a book which addresses the difficult issue of loss gently and with understanding. It may encourage all children, including those who have lost a loved one, to collect and express treasured memories in words and pictures. 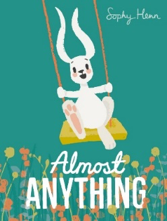 See our activity page forLuna Loves Library Day another wonderful picture book by the same author. This is a story about a little girl who wants a pet as big as a house! Clearly a dinosaur would be perfect. The story explores what she would do if she had a pet dinosaur, where she would take it and how her friends would react when they see it. She considers the amount of food it would eat and the inevitable big problem its bodily functions would create! 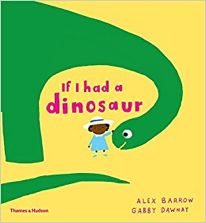 This is a story that invites participation, with a rhyming text, pictures sometimes used to complete phrases instead of words and the concept of having a pet dinosaur to discuss. The book design and illustrations are excellent with extra detail which adds to the story telling. This is a book which children will want to revisit again and again noticing more each time and imagining what they would do with a dinosaur as a pet. 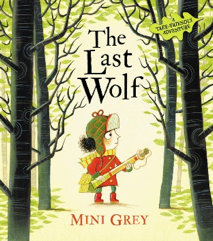 In a clever twist on the well-known fairy story Little Red sets off to catch a wolf. Her mum isn’t too worried about this plan as wolves disappeared long ago. Little Red finds hunting quite difficult but eventually meets a wolf and also a bear and a lynx. They are friendly but rather hungry with only acorns to eat because their habitat is disappearing. Little Red is determined to help them and decides more trees are what they need. In her den in a snow drift Mama Bear gives birth to two tiny cubs. Curious about their surroundings and a little nervous the two bears ask their mother questions about the wider world. She tells them about the landscape, the ice, sea and its creatures and what will happen when they leave their cosy den. The illustrations are stunning. Intricately woven in silver, grey and gold they dazzle the reader revealing the beauty of the Polar Regions and its wildlife. This is a book to return to and study closely spotting for example the two cubs curled inside their mother waiting to be born, and the diversity of life under the ocean.